There was a new WHO Report issued this week (May, 2016) on deliberate attacks on healthcare workers and community health workers during emergencies around the globe. It found that sixty-two per cent (62%) of the reported attacks intentionally targeted health care and health care workers. (Report, and summary, follows) Only 20% were reported as unintentional, the rest being unknown or undetermined. Many of these dedicated workers were at the GHIC (Global Health and Innovation Conference) at Yale in April, 2016 hosted and organized by Unite for Sight. We at GNI want to help publicize this report, and the crisis, so that people are informed, and governments do more to ensure the safety of Global Health workers – As they seek to deal with the larger crises of extreme poverty, access to healthcare and clean water, girl marriage and complications of pregnancy, poor sanitation, education, community health and inoculation, and much more. Unrest, problems with radicalized Muslim groups, and escalating small-scale conflicts (As well as major unrest/instability in Iraq, Syria,…) around the globe continue to place health care workers at great risk. He also mentions that threats to volunteers and attacks on healthcare workers and staff, health facilities and those using their services pose risks to delivery of healthcare and create instability and insecurity, as well as disrupt services. And this data does not even take into account attacks against aid and development workers, and other forms of volunteers oversees. In the past, new records have been set in the numbers of attacks against these types of humanitarian workers as well. What makes a country dangerous to aid workers? More at Security Outcomes, NGOs and Risk Review and their publications page. Over the two years surveyed, there were a total of 594 reported attacks on health care that resulted in 959 deaths and 1561 injuries in 19 countries with emergencies. As mentioned above, sixty-two per cent (62%) of the reported attacks intentionally targeted health care and health care workers. 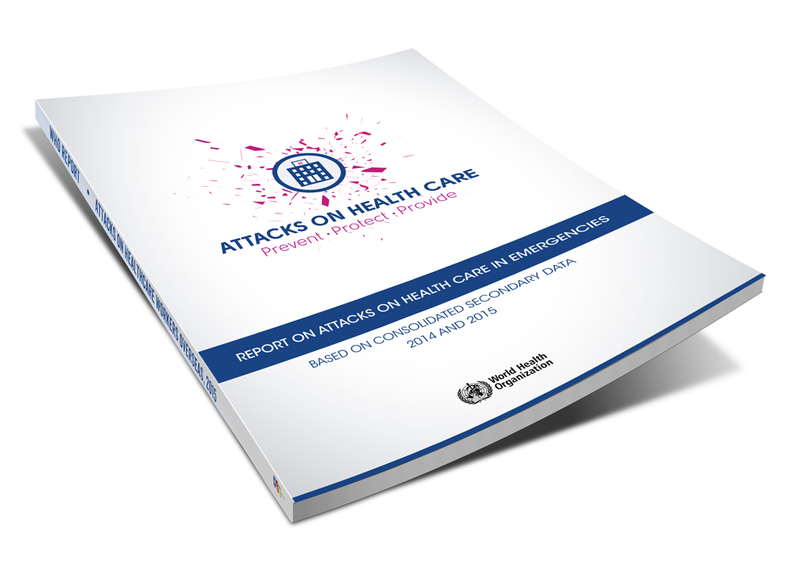 In 2014, the consolidated figures include 338 records of attacks on health care in 19 countries. In 2015, the records indicate 256 attacks in 16 countries with acute or protracted emergencies. 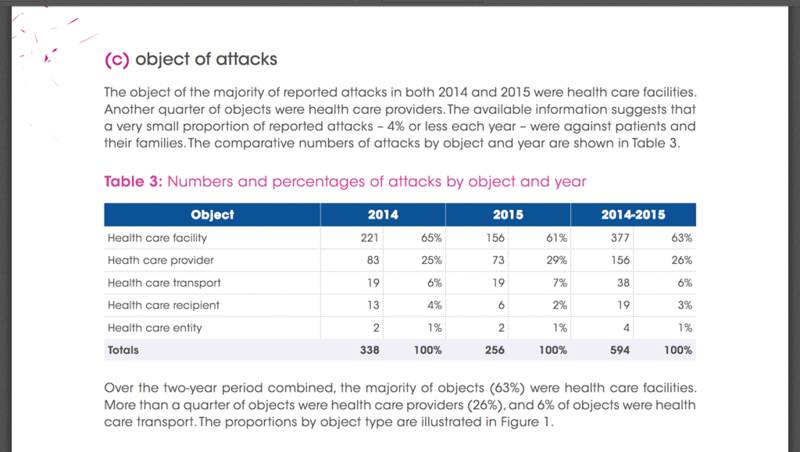 As you can see from the screenshot of the report below, healthcare facilities and healthcare providers account for 89% of all reported attacks, 53% of which were perpetrated by State actors. Beyond the risk to community health workers themselves, Dr. Alwan points out that thousands of people die every year not as a direct result of the violence, but because the environment has become too dangerous for health care to be delivered. The report recognizes that health needs in emergencies are often urgent and service delivery is complex. Health care workers not only deliver ongoing health and community-health programs, but must also address additional needs that can include conflict-related injuries, increases in infectious diseases and outbreaks, malnutrition, mental health problems and gender-based violence, while facing in hospital violence against staff and patients and even circumstances where hospitals are being targeted and bombed. “Over the last several years direct, targeted attacks on health care institutions that are clearly civilian facilities have escalated greatly,” says Dr. Michael Van Rooyen, an emergency physician and the director of Harvard Humanitarian Initiative, “and Syria’s been the most notable and notorious example.” (Quoted from above article) It’s not just in Syria that field hospitals and medical aid workers are being attacked. Over the past six months, four out of 29 Medicines Sans Frontieres facilities in Yemen were hit by airstrikes, as well as a trauma center in Kunduz, Afghanistan. Due to Syria and other ongoing violence, 2015 had the largest number ever on record of people affected by emergencies – An estimated 125 million in need of assistance. Most of the available data also does not clearly differentiate between types of health care providers (e.g. doctors, nurses, paramedics) who were the object or victim of the attacks. This indicates the need for more detailed reporting on deaths and injuries and object type. One of the conclusions of the report is that increased advocacy is needed to draw attention to this issue. Good Neighbor Insurance has many types of international and short term travel insurance plans that cover injuries or illness as a result of unrest, terrorism or epidemics. These include emergency evacuation. For more information check out GeoBlue Navigator Expatriate or https://www.gninsurance.com/more-expatriate-insurance/, or call us at (480)813-9100 with any questions. 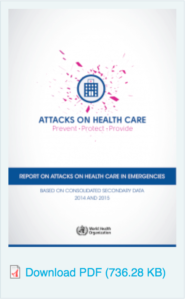 Download the Report on Attacks Aginst Healthcare Workers by the Worldwide Health Organization (WHO) ,based on data from 2014-2015, above. http://www.who.int/ith/en/, also see the bottom of http://www.gninsurance.com/our-resource-hub/ for more resources.